I have been eagerly awaiting the sophomore season of Lifetime's UnREAL since, well, the Season 1 finale. The surprisingly dark look behind the scenes of a dating competition returns to Lifetime on Monday, June 6, but if you were expecting the same song and rose ceremony, you might be in for a surprise. Seemingly gone is Season 1's royal contestant Adam, who has been replaced by a brand-new football player bachelor. Also M.I.A. is Rachel's hoodie and tee shirt ensemble — this producer is all about the polished power suit in Season 2. But it's not just about who is missing on UnREAL that makes its sophomore season so different — there are some new additions too. 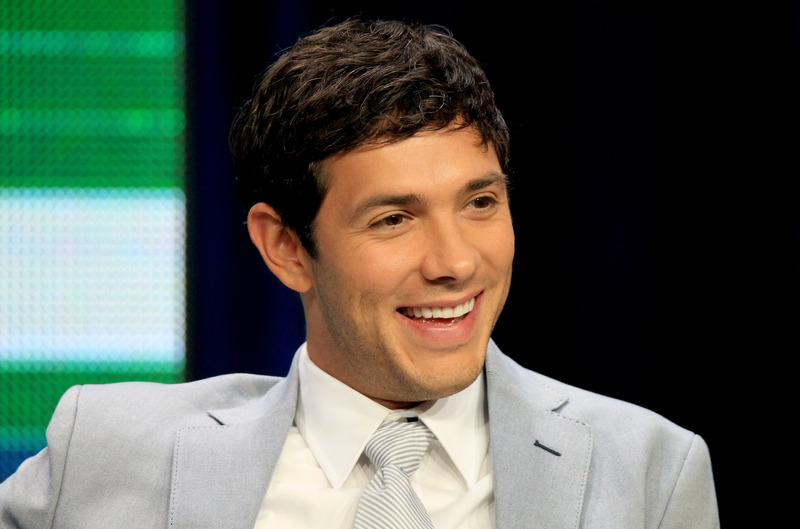 Michael Rady, appears in the UnREAL Season 2 trailer that was released by TVLine, so fans of The Sisterhood of the Traveling Pants should be very excited for the series' return. Rady should be familiar to anyone who obsessed over The Sisterhood Of The Traveling Pants, or who desperately wished that they would find love during a summer trip to their grandparents' house. Rady played Kostos, Lena's Greek boyfriend who fans swooned over in the 2005 movie. Of course, Kostos is hardly Rady's only role — in fact, he more recently had extended arcs on shows like Jane The Virgin, The Mentalist, and House Of Lies, in addition to starring on short-lived series like the reboot of Melrose Place and Emily Owens, M.D. But if you grew up crushing on Kostos, Rady's role on UnREAL should be a very big deal. I know it is to me. The new promo shows Rady's character hanging out in the production room with Rachel and Quinn, and though it might initially seem that Rady will play a producer looking to get his contestant to the final ceremony, Variety reported that Rady will actually play a filmmaker in the upcoming season. Though it's unclear why Rady's character would be lurking around the production offices of Everlasting, it could very well to be to expose some of the less-than-savory tactics that Rachel and Quinn use to get those juicy clips, or if his character is making the jump from film to television. Well, looks like my childhood crush on Kostos has officially become an adulthood crush on Rady's new UnReal character.